233K miles, clean CA title on my name. A very nice, clean and well-kept car, interior is excellent 9/10 (bit snagging head liner in the rear area), paint is 7/10 (it has some oxidation in few spots) because the car lived close to the ocean it was parked for 5 years, Wheels has the same clear coat pealing, oxidation. Tires are good (more then 90% left). The car is solid, starts and runs fine, could be a good daily driver. Unfortunately I ran out of time, no longer have a shop on work on these. I fixed tons of issues but a few still remain, I will list it in the CONS. More pictures or questions just send me a message. 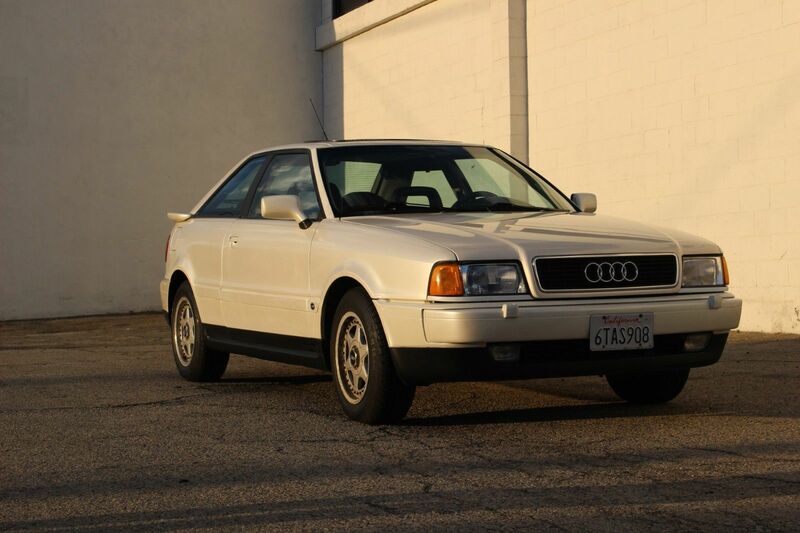 Like most well-kept Audis of this ilk, the Coupes seem to generally shrug off massive miles. The sunset shots compliment the complex color well, and the black leather still looks great overall. Zebrano wood was a nice match to break up the otherwise dark interior. Though tiny by today’s standards, the faux 2-piece Speedline wheels are always a favorite of mine to see though notoriously difficult to keep looking good. The addition of the B4 hood modernizes the look considerably, but the really nice part of this car is the maintenance performed. It’s not impossible to find Coupe Quattros if you look – and I do. However, a majority of those that come to market are beaten within an inch of their lives and/or the sellers want unrealistic amounts for the pleasure of trying to restore them to serviceable condition. 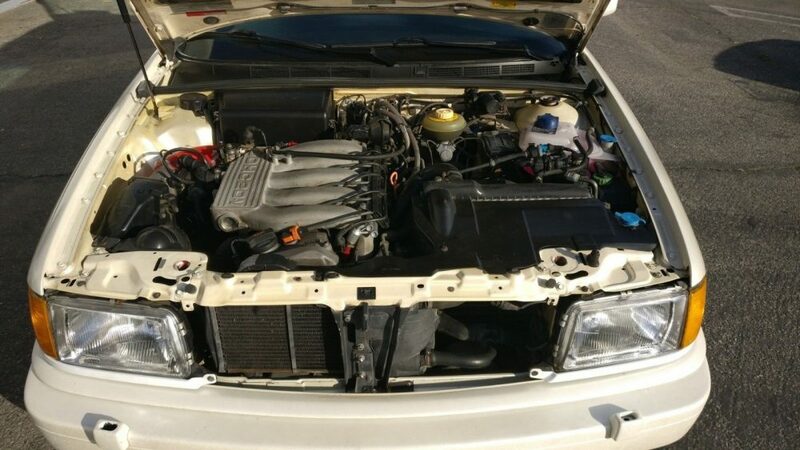 This seller has provided the maintenance to make this car a great driver, yet has listed the car in a no reserve auction format with pictures that depict the current condition of the car. Really, you can ask little else. This car would be a great driver and potential base for a build with a turbo motor or V8 if you’re a little crazy. 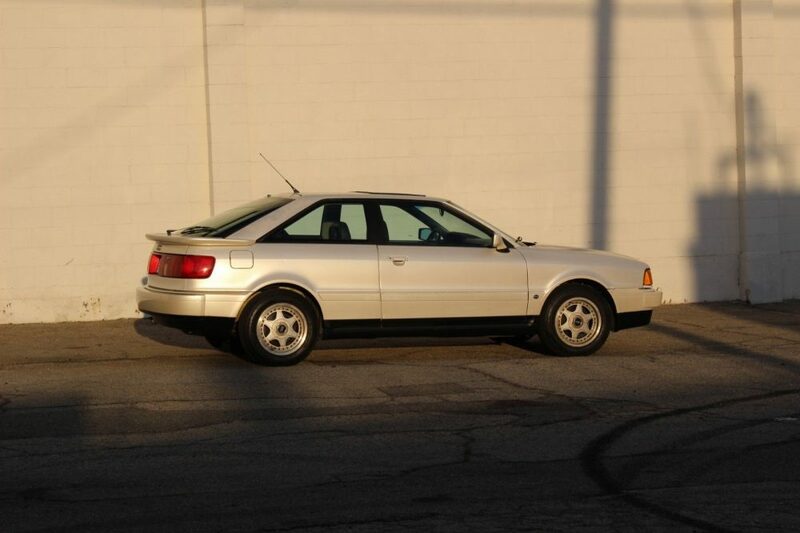 Bidding is currently quiet at only $2,000 – far under what these cars in this condition usually trade for. The cult status will continue to ensure you can find parts and help, and the unique style will set you apart without breaking your budget. 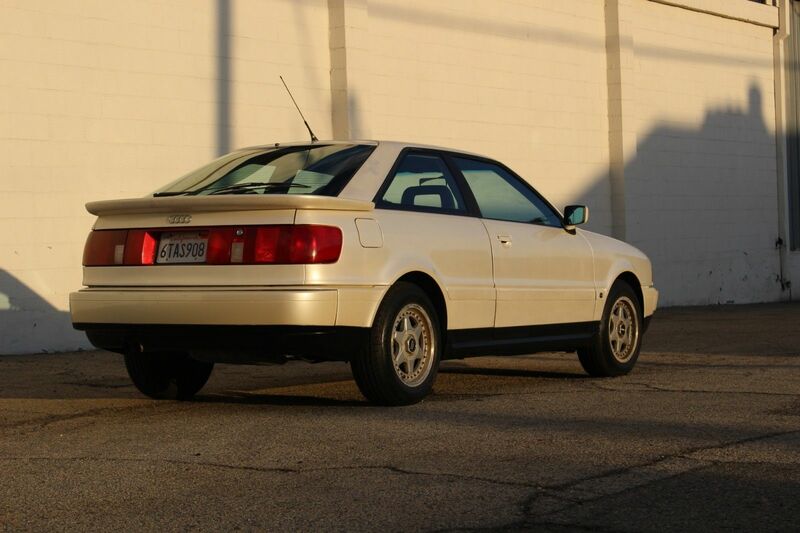 Tagged 1991, 7A, 90, B3, Coupe, coupe quattro, pearlescent white metallic, Quattro, Speedline, Typ89, Type 89. Miss my ’90 CQ. Great car….but a bit slow. 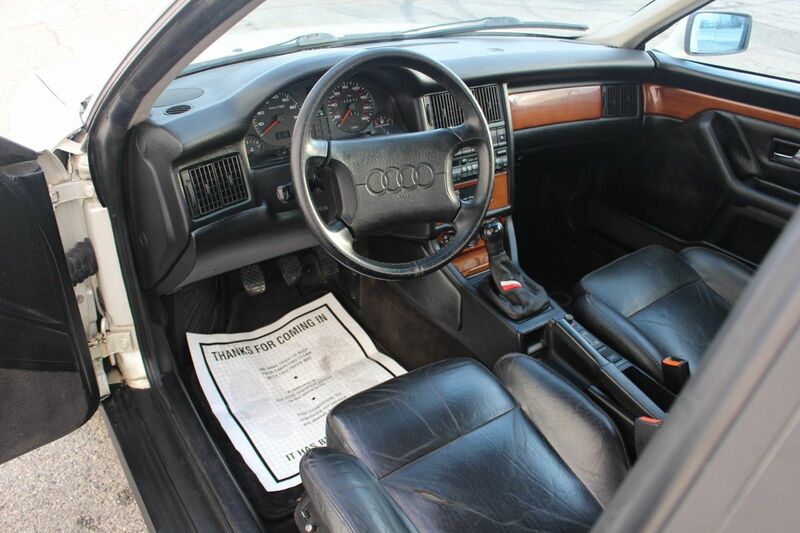 Audi really didn’t want this car to succeed in America. 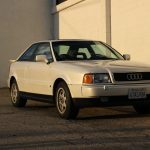 It should have had the new for ’92 2.8 V6 from day 1, and the S2 should have been offered. But, Audi was in a big sales slump, and investing in new federalization for US cars was probably hard for AoA to justify for a trickle of sales. 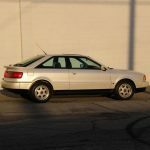 But I do think that if they had carried on and started offering the V6 in ’92 along with the S2, they could have sold some more. Real pity, because that design is still beautiful.